The municipal stadium in Biłgoraj lies in the north of town, beside the Nowa Łada river. Though it's been in operation for decades, the current form was created between 2009 and 2016, when all of the old ground was replaced gradually. The first phase came in 2009, when a new indoor arena was built beside the stadium. It was extended eastwards in order to provide a covered section of new auditorium with 224 seats. Above them there's a restaurant with patio allowing visitors to enjoy a view of the stadium. When the indoor arena was opened (worth PLN 22 million), construction of the second phase began. In 2010 the section of auditorium was extended along the whole west side of the stadium, which added 1,070 more covered seats, worth PLN 2.14 million. The result was heavily criticised due to obstructed views, lack of protection from wind and rain (uncovered backside of the stand) and very limited floor space below the auditorium. Finally, in 2015-2016 the new playing field and running track followed. 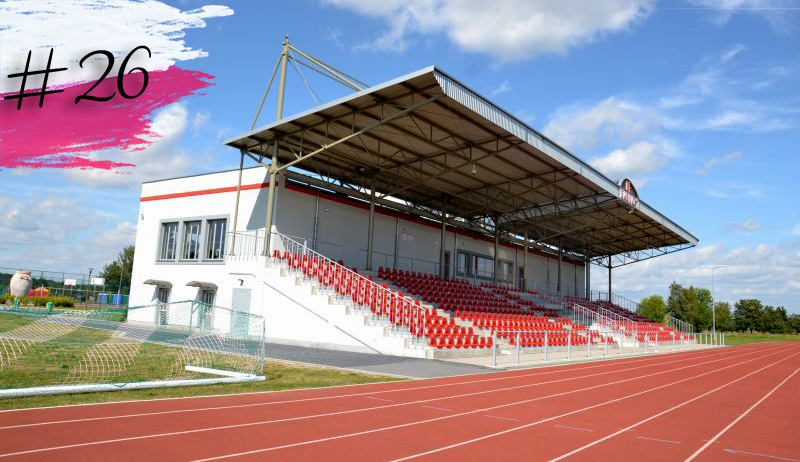 While the 6-lane track is modern and able to host major domestic events, the playing field is slightly too small to meet international standards (103x64m). The very last element of the stadium is its away section, added in 2016. However, as it has no actual grandstand inside, it's basically a humiliating pen where up to 200 people can be kettled. Jasło's main football stadium was built in 1928 on the initiative of the city council. 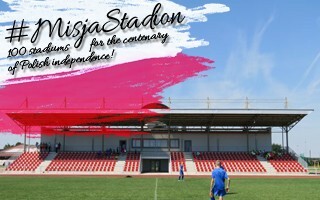 Its construction was a community effort, including work by players of Czarni and unemployed residents. There wasn't that much work to be done though, because only a couple of rows of auditorium were created. The field was built almost directly north of the municipal glassworks, which meant very little space for a south terrace between turf and the wall. For this reason the north stand has served as the main one already early on. During WWII the stadium served two roles. Initially, from 1941, it was the base for Nazi armoured division. Later on it became the meeting point for people caught in raids. Football was played in Jasło during Nazi occupation but not here. In fact, Czarni as a football team lost almost all documentation of their pre-war activity during the 1944 complete demolition of the town (over 1,000 buildings were burned or blown up). The glassworks resumed activity immediately, in 1945, to produce glass for windows of damaged buildings. The football field also came back to life, though repairs were gradually carried out over many months. Further upgrades came in 1970-72, when the current north stand took its shape. To this day players aren't changing at the stadium, rather in the club building behind it. The south stand is no longer in use due to very low safety level. Away section is operational in the north-east, able to hold 80 people, all standing. Though nominally this stadium in northern Szczecin offers only 300 places, its actual size is quite significant. At peak it was able to hold some 5,000 people on the two landfill terraces running along the north and south sides. Each of them has 10 rows, individual seats were never installed. Construction of the stadium was directly linked to crucial social events of December 1970. Workers' strikes across northern Poland were brutally quashed by the militia and army, killing 42 people and wounding over a thousand. This caused a schism in Arkonia, one of Szczecin's largest sports clubs. It was initially created to serve both the militia and the Szczecin Shipyard (Stocznia Szczecińska), which in 1970 became the oppressors and the oppressed. That's why Stocznia decided to abandon Arkonia and create a club of their own, named Stal Stocznia. 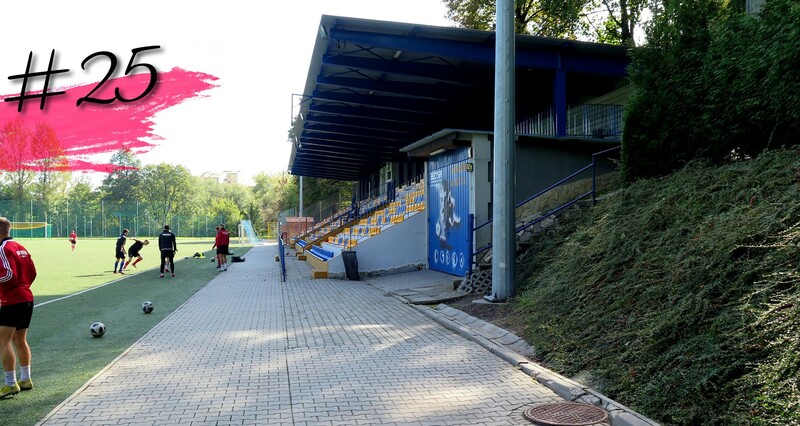 It was precisely for that club that the shipyard has financed construction of this stadium in the Warszewo district. It had to be of significant size as part of Arkonia's following was certain to relocate as well. Stal Stocznia never made it to the “big league”, reaching 2nd tier at best and playing 13 seasons just outside Ekstraklasa. Only once the team was able to land above much more famous Pogoń, when the latter ended up 8th in the second league in 1980. Following regime change, like many clubs based on big industry, Stal fell into trouble and their stadium was thus never significantly modernised. Eventually this led to the larger south side being closed off, while the north one functions only with significant cap on capacity. The stadium's distinctive layout with maintenance facilities behind west goal and club offices and bar on top of the north side has been retained. 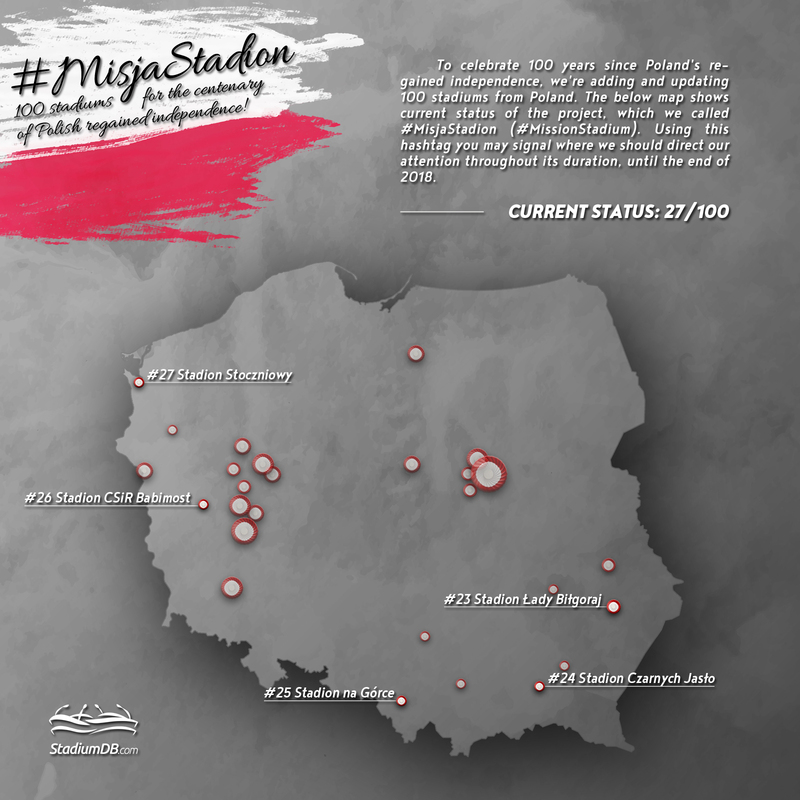 Up until 2008 the stadium was owned by the shipyard but has since been transferred to the city of Szczecin, which helps in maintenance of basic facilities through it subsidiary MOSRiR.